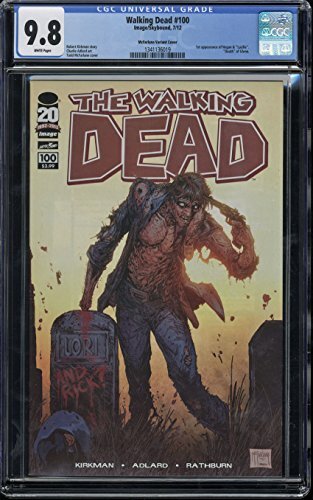 This is a near mint to mint copy of Walking Dead #100 CGC 9.8 with white pages. This issue is the first appearance of Negan and 'Lucille'. This issue is also the 'death' of Glenn. This is the Chromium Wraparound Variant Cover. Don't miss your chance at a great item. If you have any questions please ask. WALKING DEAD #100 (MR) IMAGE COMICS (W) Robert Kirkman (A) Charlie Adlard, Cliff Rathburn (CA) Ryan Ottley "SOMETHING TO FEAR" CONTINUES! This extra-sized chapter contains one of the darkest moments in Rick Grimes' life, and one of the most violent and brutal things to happen within the pages of this series. 100 issues later, this series remains just as relentless as the debut issue. Do not miss the monumental 100th issue of THE WALKING DEAD! This is a near mint to mint copy of Walking Dead #100 CGC 9.8 with white pages. 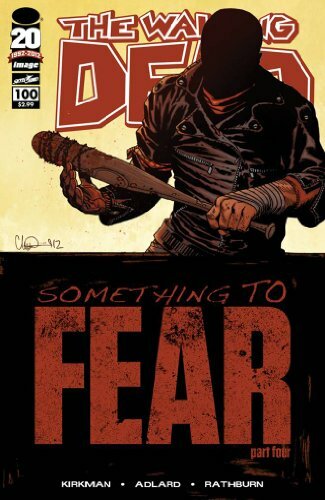 This issue is the first appearance of Negan and 'Lucille'. This issue is also the 'death' of Glenn. This is the Ottley Variant Cover. Don't miss your chance at a great item. If you have any questions please ask. 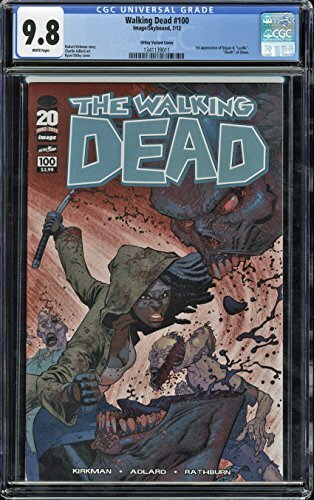 This listing is for a near mint to mint copy of The Walking Dead #100 CGC 9.8 with white pages. 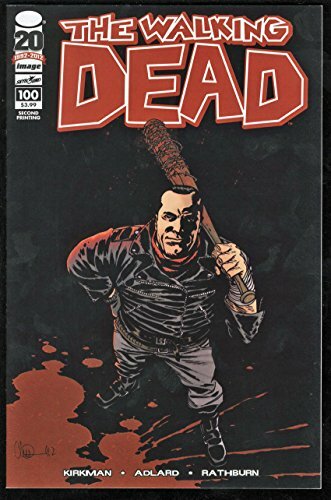 This issue is the first appearance of Negan and "Lucille" and the death of Glenn. This is the McFarlane Variant Cover. If you have any questions please ask. 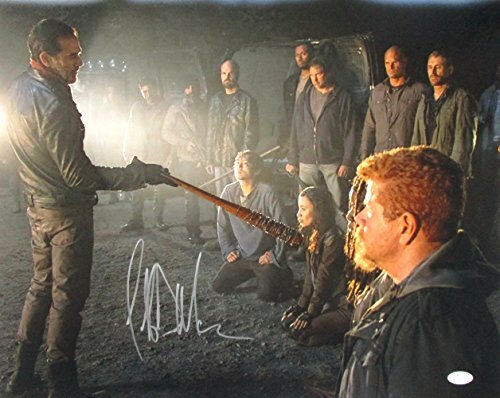 Featured is an Jeffrey Dean Morgan autographed The Walking Dead Negan 16x20 photo. This photo was signed at a private signing and comes with the JSA hologram and certificate of authenticity. Morgan portrays the character Negan on the AMC TV series The Walking Dead. He made his first appearance in the sixth-season finale and serves as the primary antagonist of the seventh season. 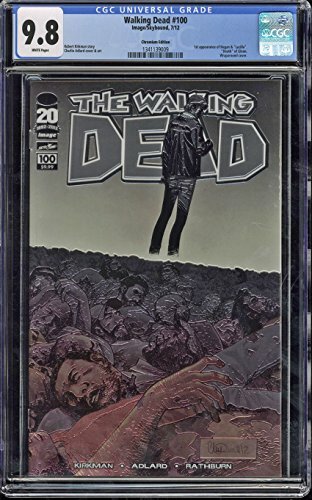 This listing is for a near mint copy of The Walking Dead #100 with white pages! This issue is the second print variant that features Negan and Lucielle on the front cover. Don't miss your chance at a great item. If you have any questions please ask. Cover by Charlie Adlard. First appearance of Negan & "Lucille", Death of Glenn. Something to Fear: Part 4 of 6 - (W) Robert Kirkman (A) Charlie Adlard, Cliff Rathburn 'SOMETHING TO FEAR' CONTINUES! This extra-sized chapter contains one of the darkest moments in Rick Grimes' life, and one of the most violent and brutal things to happen within the pages of this series. 100 issues later, this series remains just as relentless as the debut issue. 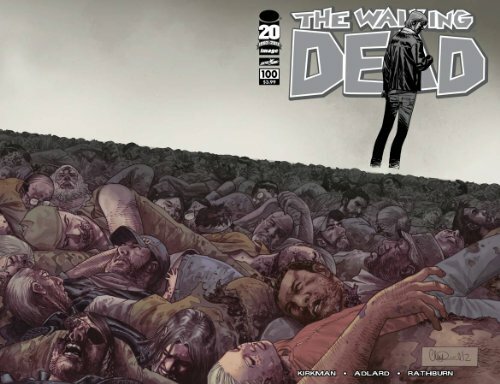 Do not miss the monumental 100th issue of THE WALKING DEAD! 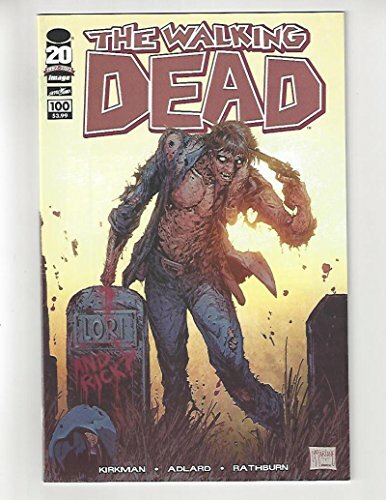 The Walking Dead #100/McFarlaneCover/1st Negan/NM Very high grade copy of The Walking Dead #100. In my opinion, this book shows wear consistent with a Universal grade of 9.6. It's a complete copy with no clipped coupons or missing pages. There are no signs of restoration. If you would like to own it we can ship it out within one business day of receiving cleared payment. We pack our raw books with cardboard and bubble wrap before we send them out via USPS First Class Mail. 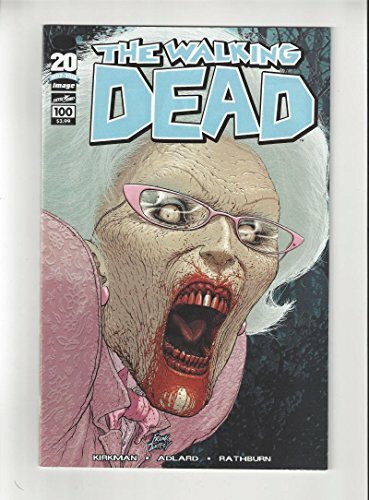 The Walking Dead #100/Quitely Cover/1st Negan/NM Very high grade copy of The Walking Dead #100. In my opinion, this book shows wear consistent with a Universal grade of 9.4. It's a complete copy with no clipped coupons or missing pages. There are no signs of restoration. If you would like to own it we can ship it out within one business day of receiving cleared payment. We pack our raw books with cardboard and bubble wrap before we send them out via USPS First Class Mail. Jeffrey Dean Morgan's entrance and thoughts on the 100th episode during talking dead. The Walking Dead Comics - Issue #100 - Read and Explained. Welcome Negan! The iconic death of Glenn and the character of Negan is on full display! Can Rick ever recover from for the torture and control of the Saviors? 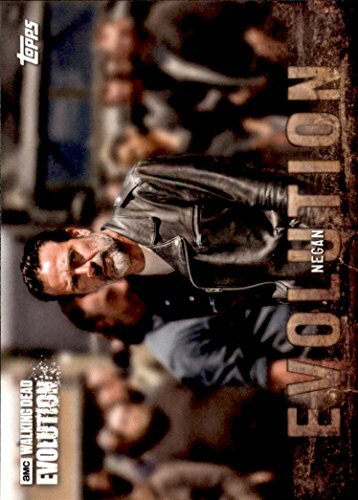 Compare prices on Walking Dead 100 Negan at ShoppinGent.com – use promo codes and coupons for best offers and deals. Start smart buying with ShoppinGent.com right now and choose your golden price on every purchase.